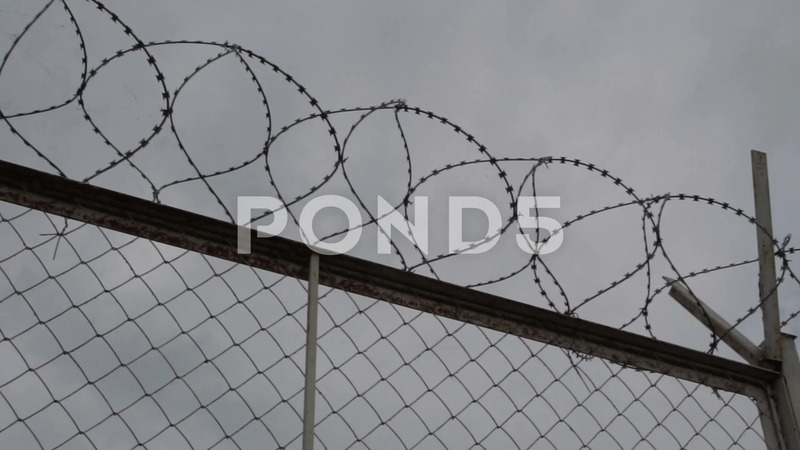 Description: The barbed wire fence. Gray sky. A fragment of the structure. Place of detention. Protected area. Metal grid. Transparent. Prison for prisoners. Scowl.